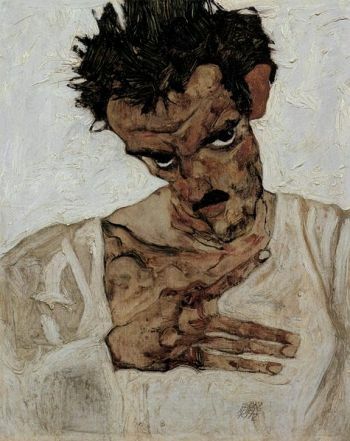 Schiele, Egon. Selbstporträt mit gesenktem Kopf. 1912. Oil on panel. Sammlung Leopold, Vienna. Wikipedia, The Free Encyclopedia, Wikimedia Foundation, 21 May 2005. Web. 15 August 2013. From teacherlibrarianwiki: Most of the images in the linked collections include images with a variety of less restrictive licensing. Image*After is a large online free photo collection. You can download and use any image or texture from the site and use it in your own work, either personal or commercial. Contains digital movies uploaded by Archive users which range from classic full-length films to daily alternative news broadcasts, cartoons, and concerts. Many of these videos are available for free download. LACMA Image Library, images of works in the public domain are now available at high resolution, free of charge, and without restriction. Images that are deemed “Protected Content” have restrictions. See http://www.lacma.org/info/TermsofUse.aspx. This project aims to create an archive of clip art that can be used for free for any use. Is this image in the public domain? What are the copyright restrictions for this image? Creative Commons Meta Search: You should always verify that the work you are re-using has a Creative Commmons license attached to it. How do I attribute a creative commons photo from flickr? Stock images are usually found in commercial collections in which case the image can be purchased for a fee; however, there are many free collections as well. Additional collections can be identified by searching normal search engines by subject, ie. engineering stock images.